Despite the rise of other materials, concrete is still the undisputed king for anyone seeking to construct something useful, durable and beautiful. 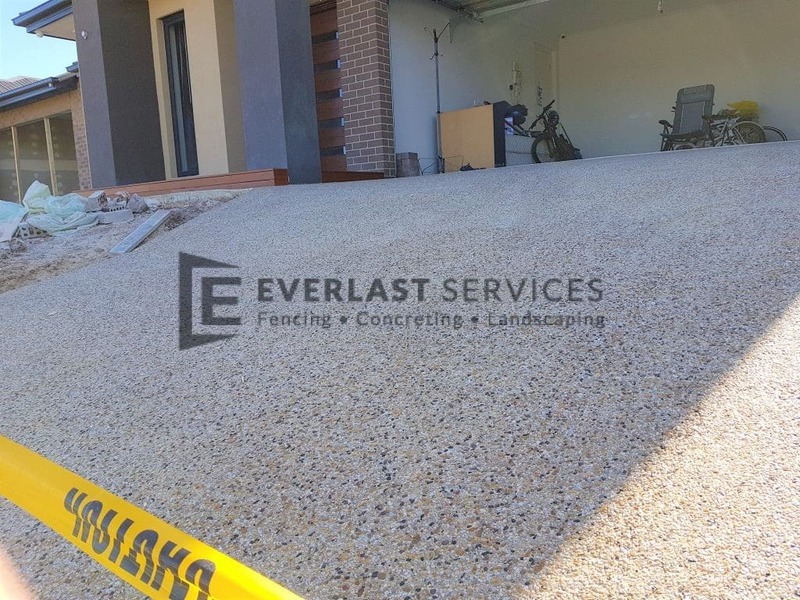 At Everlast Services, we use it in all aspects of our service delivery – from driveways to paths, fencing and even landscaping. Why do we this? You’re about to find out. Cost-Effective: A key reason for concrete’s popularity is that it is still one of the most affordable options available. Everything changes except for one thing – money talks, and the price of concrete is still competitive when compared to almost any other raw material. This humble blend of cement, sand, water and gravel is also far less labour-intensive than other options, so you get extra savings on labour. Seamless Finish: With the help of a skilled contractor, you’ll end up with a beautiful finished product. To achieve the same quality with stone or tile, you need to employ skilled craftspeople. Stone or tile also takes a considerable amount of time with lots of room for error. When it comes to concrete, you just need good weather, a good pour and someone that cares enough to labour over the finish. Tough: One thing that puts concrete above the rest is its durability. It’s why it is used as the footings for homes and skyscrapers, and it’s why it is used in heavy industry. Concrete lasts, and you can count on it. No matter what you need it for, it will probably outlast that need. The Limits Are Endless: We use concrete in basically everything we do because there is almost no limit to its applications. It’s versatile because it is a liquid form of stone, which means it can be poured into virtually any shape, at any thickness and for every need. It is used for both interior and exterior construction and even used to create furniture and art. The only limit is your imagination. Concrete is so much more than a functional construction material. It is a ‘blank canvas’ that can be used to create an unlimited array of designs. Here are just a few design techniques. Yes, you can paint your concrete into almost any colour you like. The range goes from purples to blues and ochre-like reds with the scope giving you freedom over the final product. The stamping method allows you to create texture and imprints in the final product, thereby replicating other high-end finishes. You can mimic the look of stone, wood, brick, slate and even marble. The best advantage is the saving on both labour and material costs. 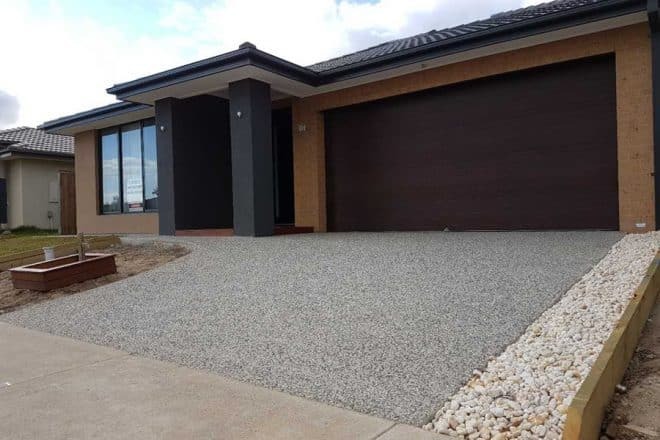 Exposed Aggregate is a prevalent method which leaves the aggregate in the concrete mix exposed. The final product is a beautifully coloured and textured design that is perfect for driveways, paths and even swimming pools. It’s ideal for these areas because of its durability to high-traffic, it hides stains, and it’s naturally anti-slip. Stencilled Concrete: This is another means of mimicking finishes. It’s especially good at replicating the look of Asian, European and Latin designs. You can give yourself a terracotta pathway, a pool-surround fitting of a Mexican mansion and anything else you can dream of, thanks to this technique. Plain concrete can look incredibly beautiful. Polished concrete is taking over the design world and is perfect for covered areas like alfrescos. In fact, concrete looks just as good without the polish. Just give it a good seal and that slab of grey will look good for years. The world is getting busier and busier. The digital age means work is in your pocket and at your desk and any hours you can save are precious. If you love your weekend and your leisure time, you’ll love concrete. Other materials are maintenance intensive. You have to deal with broken pieces, the repainting of sections, replacing grout and weeding between cracks. None of that exists with concrete. Once it’s laid, you should have to seal it every 5-10 years, but apart from that, it’s all about sweeping and hosing down – that’s it! The durability of concrete also means that your investment is a one-off. You won’t have to worry about paying for an installation all over again, trying to find a stone mason to fix up shoddy work or any of the other concerns that come with construction. Just enjoy this excellent material.